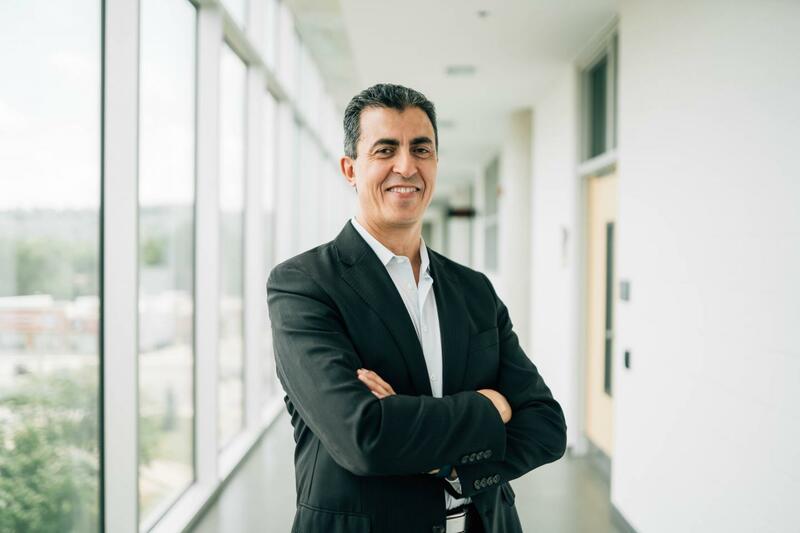 Data centres and smartphones will be the most damaging information and communications technologies to the environment by 2040, according to new research from W Booth School's Lotfi Belkhir. At the end of winter term in 2014, Lotfi Belkhir was approached by a student taking his Total Sustainability and Management course who asked, "What does software sustainability mean?" The Entrepreneurship and Innovation Associate Professor at the W Booth School of Engineering Practice and Technology didn't have an answer. The student's question sparked Belkhir's latest research on the global emissions footprint of information and communications technology (ICT). "We found that the ICT industry as a whole was growing but it was incremental," Belkhir explains. "Today it sits at about 1.5%. If trends continue, ICT will account for as much as 14% for the total global footprint by 2040, or about half of the entire transportation sector worldwide." "For every text message, for every phone call, every video you upload or download, there's a data centre making this happen. Telecommunications networks and data centres consume a lot of energy to serve you and most data centres continue to be powered by electricity generated by fossil fuels. It's the energy consumption we don't see." A smartphone's chip and motherboard require the most amount of energy to produce as they are made up of precious metals that are mined at a high cost. "Anyone can acquire a smartphone, and telecommunications companies make it easy for people to acquire a new one every two years. We found that by 2020 the energy consumption of a smartphone is going to be more than that of PCs and laptops." "Communication and data centres have to go under renewable energy now. The good news is Google and Facebook data centres are going to run on renewable energy. But there needs to be a policy in place so that all data centres follow suit. Also, it's not sustainable to have a two-year subsidized plan for smartphones." "When they start the course, many students don't know what sustainability means. When the course ends their worldview has changed and they realize what they want to do and why they want to do it."